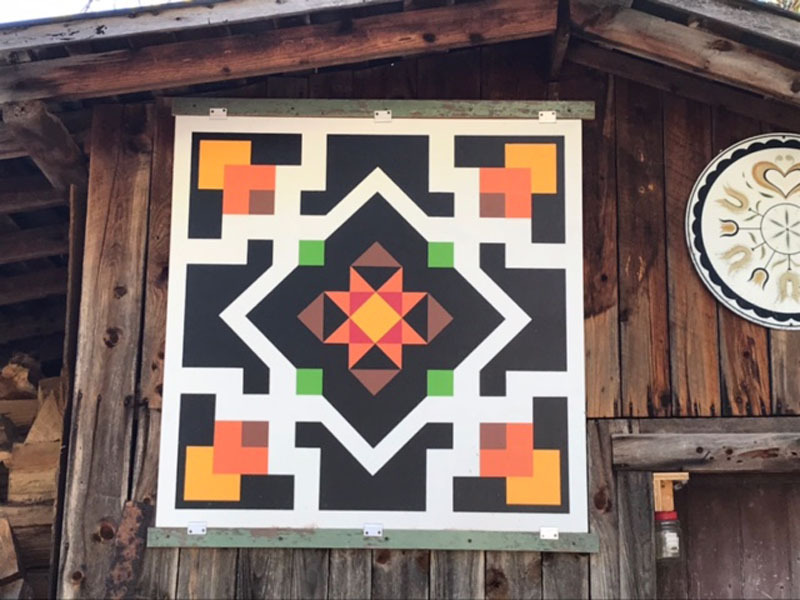 Hearing about the Frontier Barn Quilt Trail forming in Fulton County, I thought it might be fun to paint my own barn quilt. While searching on the web, I came across this pattern and thought it would be fun and challenging to paint this block. I gathered up my supplies and paint and went to work. Voila’, so I am happy to present “Debbie’s Journey to her Eight Point Star”.